The routine changes so drastically with the different seasons on the Petrich Ranch. The calves are almost all born now and a good old fashion branding took place over the weekend. 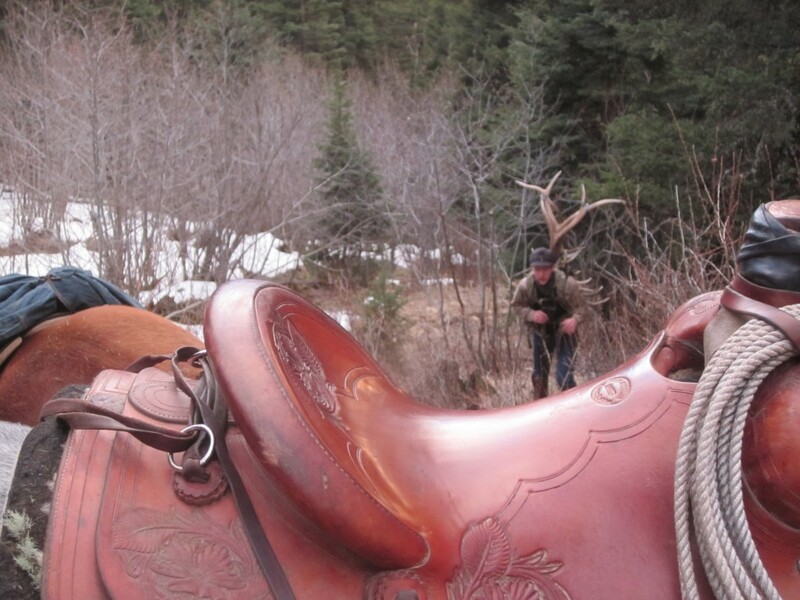 Calves are roped on some of the same horses that have packed so many to successful hunts. They are dragged by their hind legs to a branding fire where two ambitious workers wrestle and hold them down. This is an event that involves all the family and some area friends. Irrigation is also on the agenda as it plays a critical role, in providing summer pasture and winter feed for our livestock. We are fortunate to have several creeks that supply us with ample water. The bull elk are continuing to drop their antlers. Zane and Zander have found a number of ivory tipped sheds. The fall elk season promises to be exciting as we have observed many bulls in our hunting area. These are just a few of the highlights of our busy life. Life isn’t always easy and peaceful like we all wish it were. Yes, we also have struggles and difficult days too, but thankfully we have a risen Savior, who sympathizes with our struggles. His name is Jesus! I don’t know where we’d be without His presence in our lives. Psalm 18:2 says: “The Lord is my rock, my fortress and my deliverer; my God is my rock, in whom I take refuge. He is my shield and the horn of my salvation, my stronghold”. If you are reading this short note and have been reminded that there is definitely a void in your life, we would love to hear from you and introduce you to the one and only living God!